Client: a friend of the family. 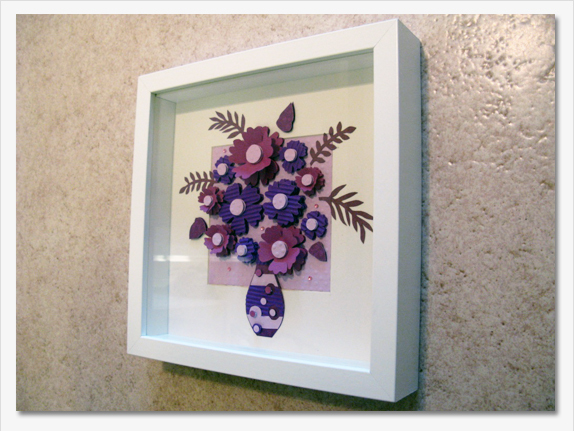 Assignment: create a flower bouquet with paper and frame it. 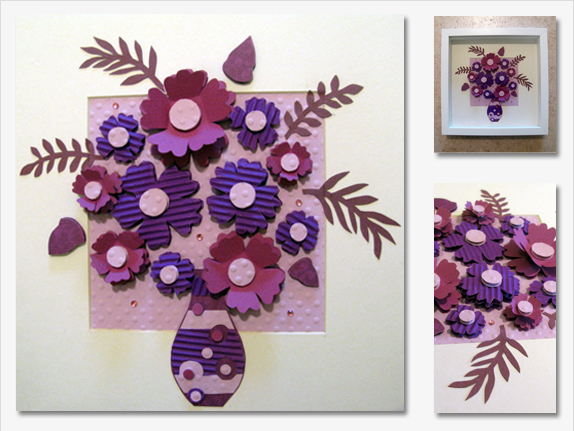 Material: cardboard, paper, stickers, 3D foam tape and a frame.